Friends, today is going to be a good day. Like, a really good day. Why? 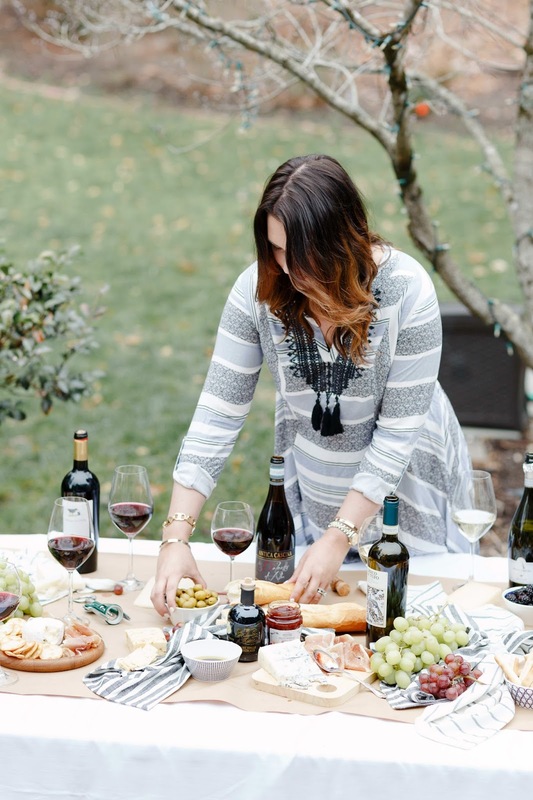 Oh, because I'm sharing all of my best tips and tricks for planning a Wine and Cheese Party of any size without breaking the bank. 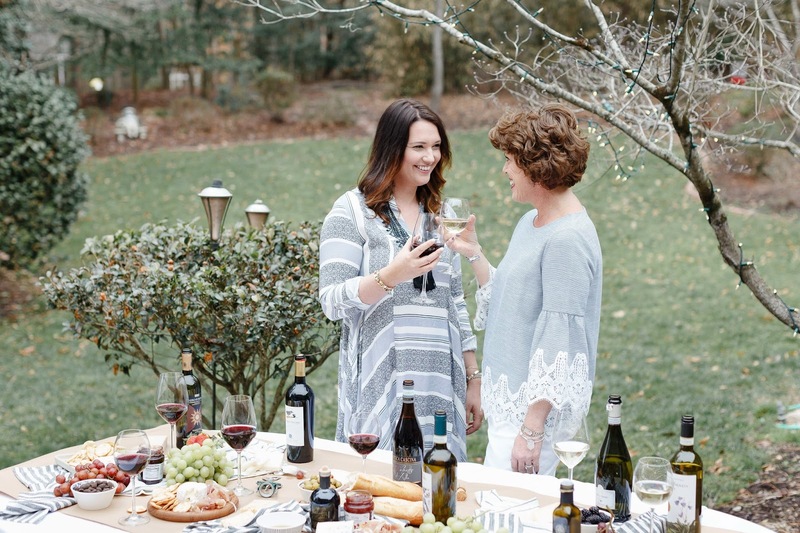 I've got all of the info on the wines you'll want to sip, the cheeses that pair like a dream, what snacks to snag, how to serve all of the goodness for a small get together or a crowd, and it's all on a budget, baby! This post is sponsored by LIDL US, all thoughts, opinions and cheese tips are my own. 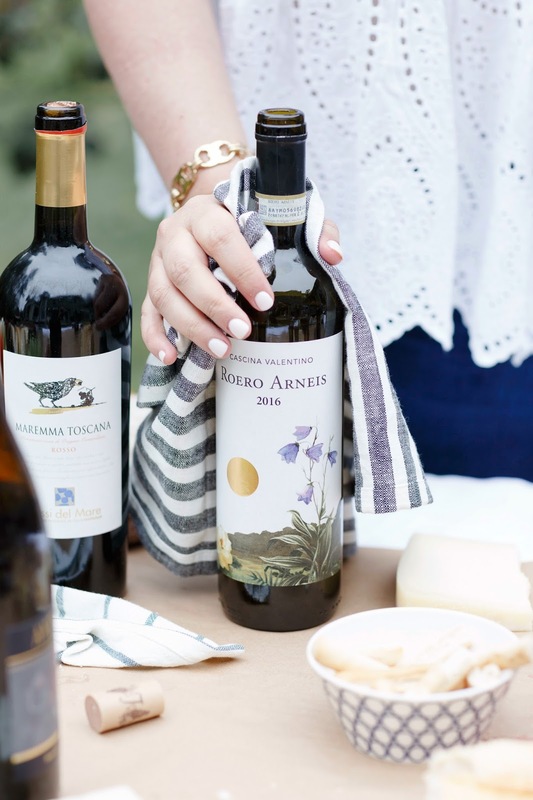 It's been well established here on this little space that I love a bottle of wine that is both inexpensive and delicious so for this post I've partnered with LIDL and their in-house Master of Wine, Adam Lapierre, to make some vino magic with his curated 19 bottle Italian Wine Fair Collection. Wanna see how happy that makes me? Nothing makes me smile big enough to show off my permanent retainer like wine and cheese. Also, meet my Mom, isn't she the cutest? She smiles for wine and cheese, too, so that explains a lot. She was thrilled to be wrangled into her job as Official Wine and Cheese Taster while I was busy prepping away, especially once I told she could sip while she worked. 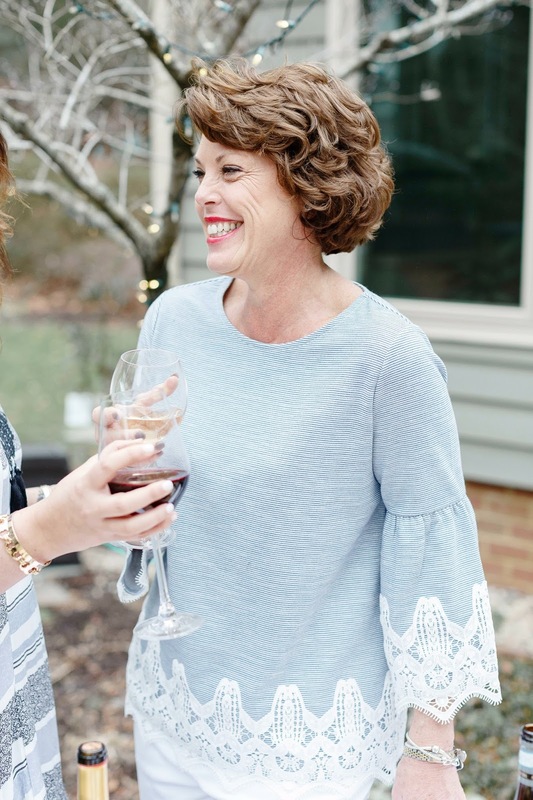 Fun Fact, my Mom and I both share a love of wine but definitely do not share the same palate. 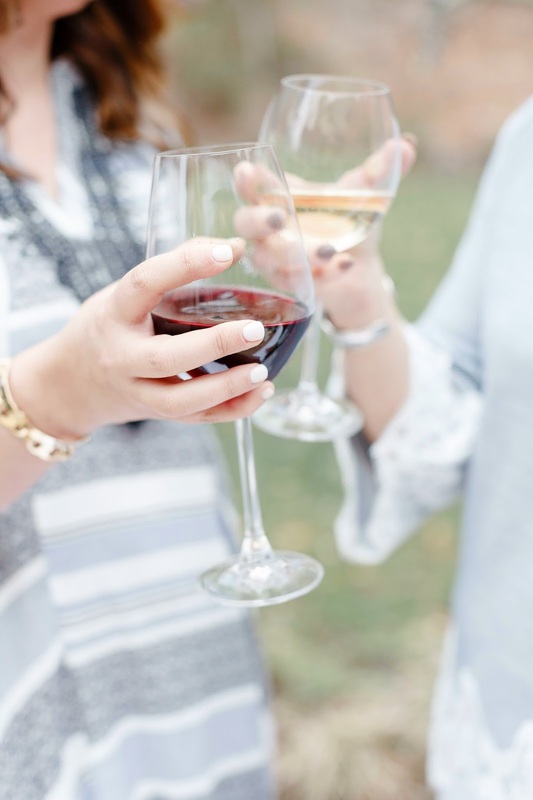 She loves a dry white and I prefer a bold red so this little Wine Tasting + Cheese Pairing Party is inspired by her and our favorite way to spend time together (with full glasses and hours to snack on a stuffed cheese plate). 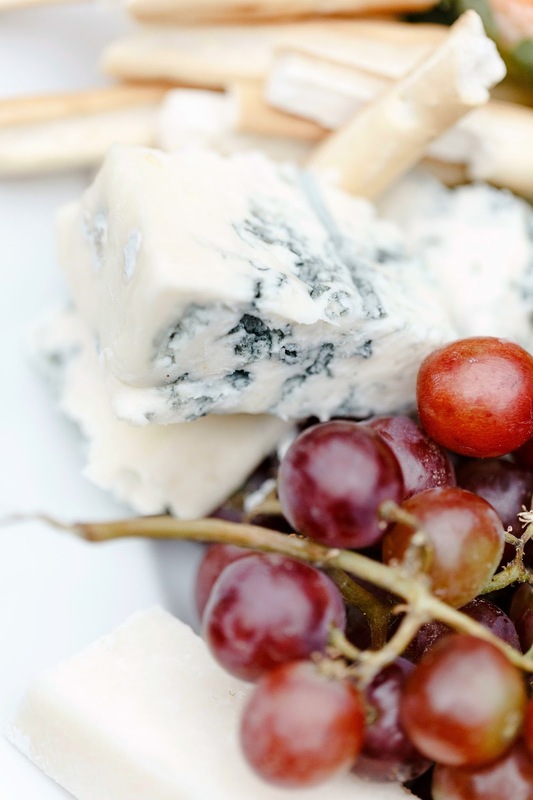 So, let's plan this wine and cheese shindig for a cozy Girl's Night In first, shall we? I'm thinking two to three of your best friends, post bedtime craziness and pre-face mask veg out. Total Budget: $55, including three bottles of wine. I ran to LIDL and snagged a bottle of red, a bottle of white and couldn't resist adding a bottle of bubbles to round things out. 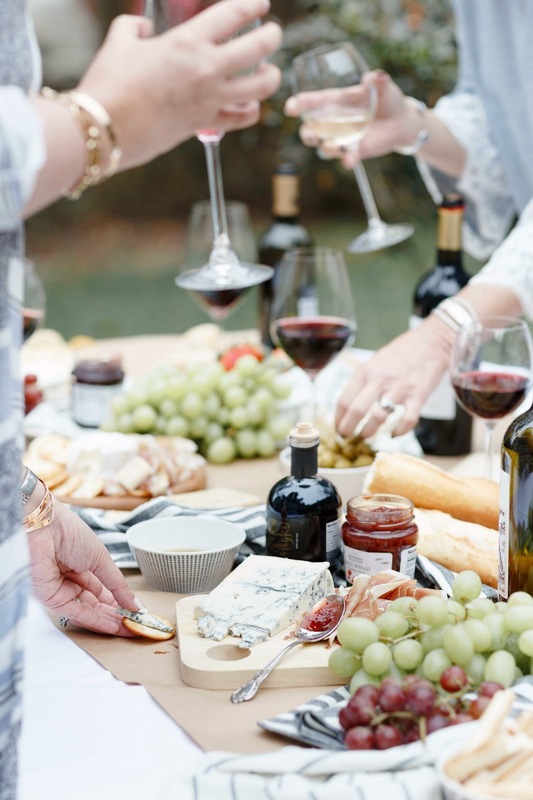 I used LIDL's Master of Wine's tasting notes to find just the bottles I was looking for and because a Master of Wine is like a Sommelier but with PhD in wine making, all of the bottles were absolutely amazing. 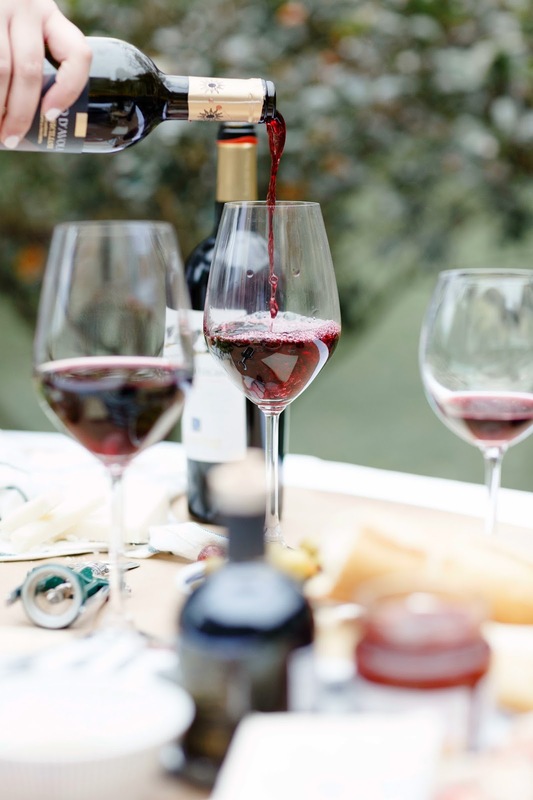 My choice red was the Antica Cascina Dolcetto d'Alba from the Piedmont region of Italy, which for $7.99 really blew me away when served chilled (perfect for a red lover like me with Spring headed my way!). 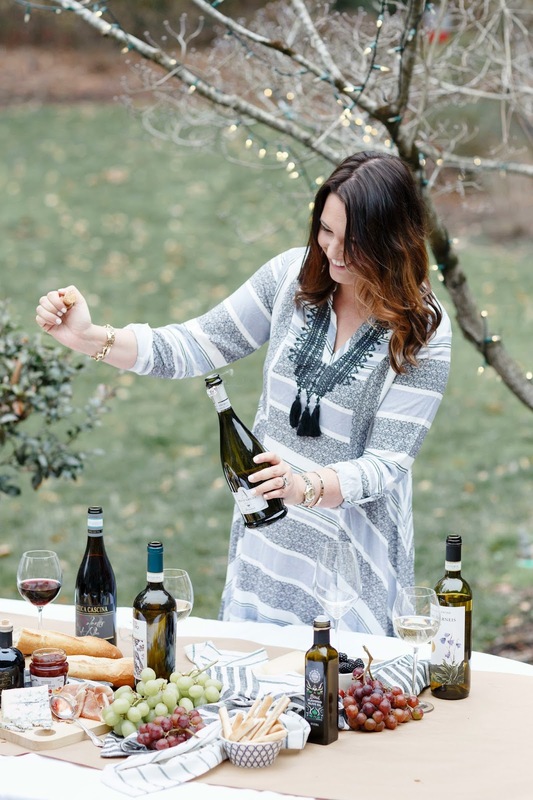 For the white wine, I went with the $7.99 bottle of Cascina Valentino Roero Arneis and for the bubbly, I chose the crazy fun Allini Pinot Grigio Veneto Spumante (a sparkling Pino Grigio!) for $9.99. Step 2: Pair the cheeses and round them out. 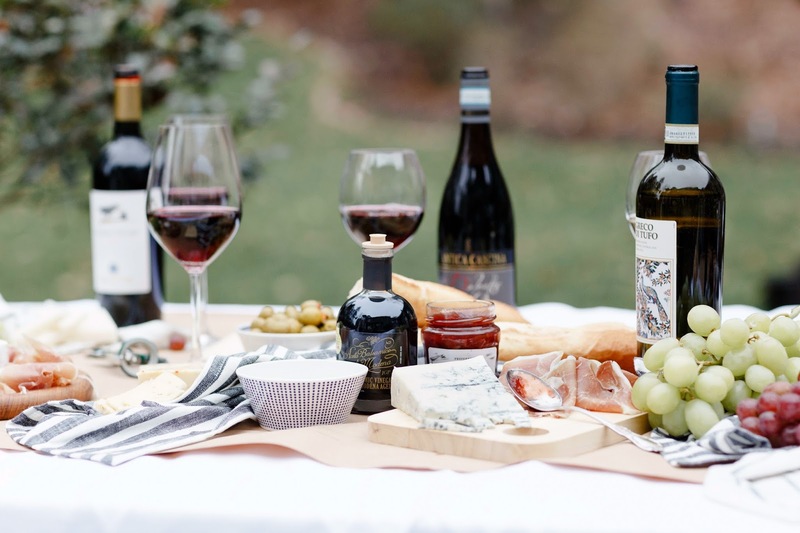 With the Master of Wine's tasting notes in hand, I paired a Preferred Selection Asiago Staginato with notes of red cherry and plum of the Antica Cascina Dolcetto d'Alba. 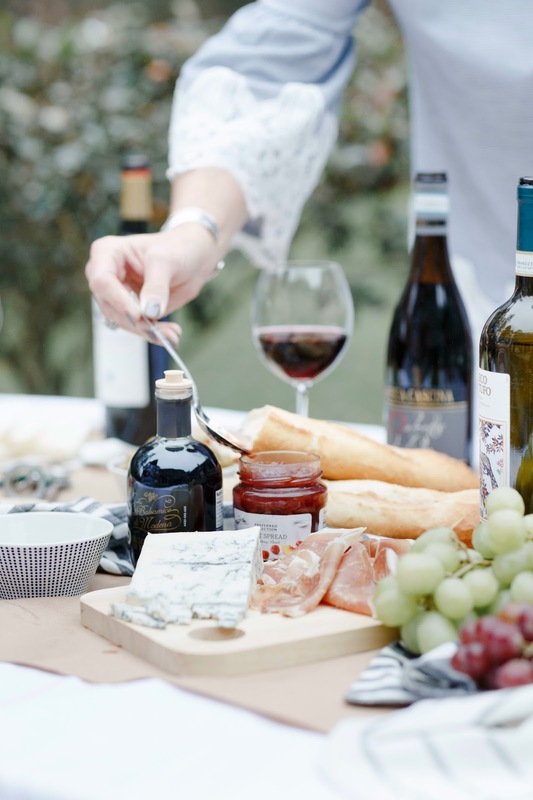 The fresh citrus and off-dry profile of the Allini Pinot Grigio Veneto Spumante plays very nicely with a Preferred Selection Montasio Hard Cheese, while the Preferred Selection Gorganzola is the perfect match for the Cascina Valentino Roero Arneis. I added a Preferred Selection mini brie and a Preferred Selection spicy jalapeño Havarti to the Montasio, Gorgonzola and Asiago cheeses to round out the saltiness. 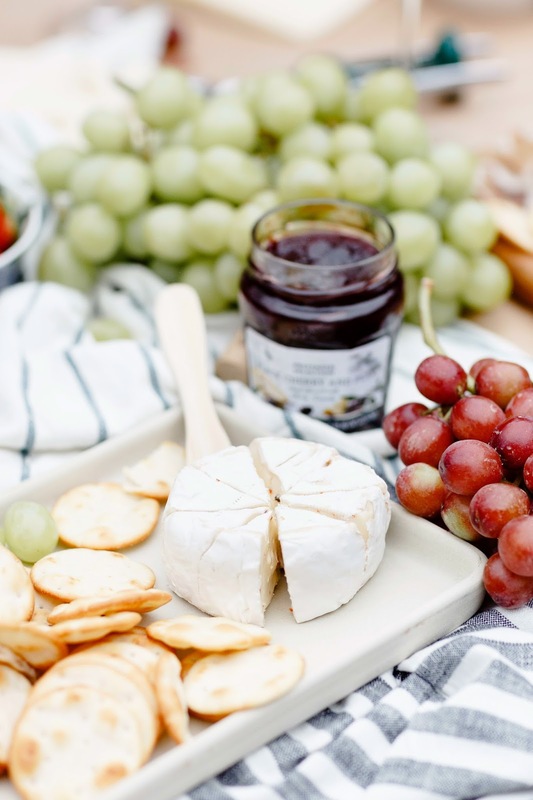 I love to break the cheeses into smaller, more snack-able bites instead of placing the entire block on your platter, especially when working with so many cheeses (and really, who doesn't want more cheese!). Without a doubt, I'm here for the carbs. 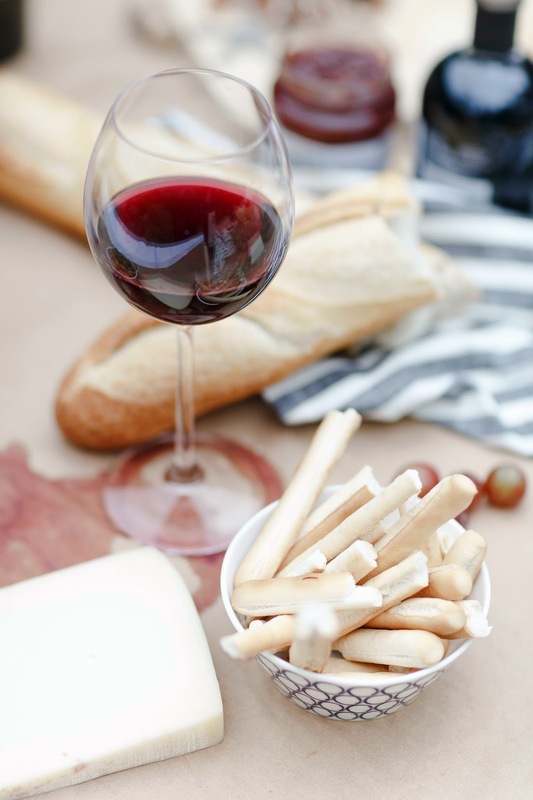 Crackers, breadsticks and fresh loaf of French Bread are musts for me when noshing on wine and cheese. At just .95 cents from LIDL, you'll get the most bang for your buck out of a fresh baguette so break that bread into rustic chunks, stack the crackers into an open spaces on your cheese plate and break the breadsticks in half lengthwise so that your guests have snack size bites ready and waiting. For color and freshness, I added ripe strawberries, blackberries and a few small bunches grapes - and because I'm a salty girl, a few slices of prosciutto made their way onto the plate as well. Look how gorgeous and easy! I literally just look at that photo and want to call my friends over for a Girl's Night! I'm envisioning a group of six or so friends sipping and enjoying the outside patio - easy, simple and low key . Total budget of $120, including six bottles of wine! The table setting couldn't be easier on the budget, to create and to clean up - I layered two mismatched white table cloths (we had some older ones on hand, but you can snag plain white table linens for less than ten bucks at LIDL!) over my parents outdoor table and ran a roll of wrapping paper down the length of the table. Yep, you read that right, I had brown patterned wrapping paper on hand that, once flipped over to the back side, looked just like butcher paper. I loved the contrast of the width of brown across the white table linens and loved it even more when spills were a non-issue and clean up just involved gathering it all up and tossing it in the trash! I spread cloth napkins around the table to provide both color and easy clean up as people chat and snack. 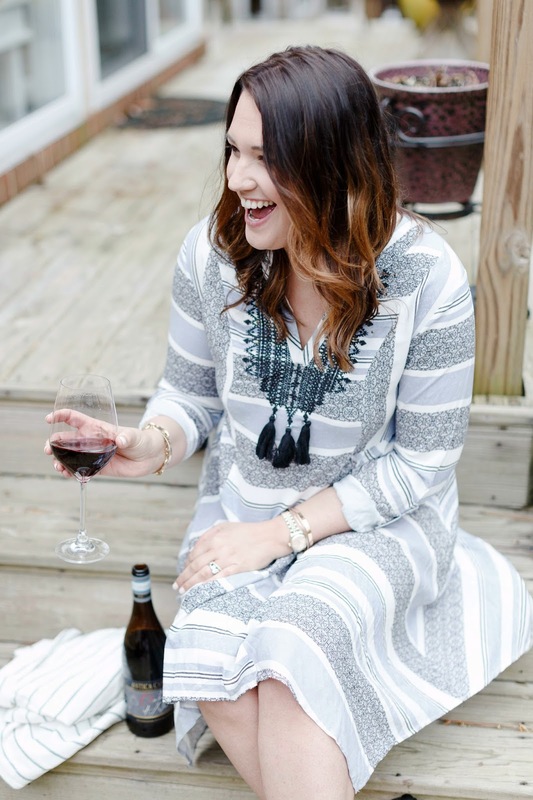 You can find super inexpensive kitchen towels or napkins that are perfect to use around red wine - if they are needed to sop up a spill, you don't have to stress that they might be stained and instead can get right back to enjoying your guests. I used the same steps to plan and plate the large get together as I used for my cozy girl's night in, I just made sure my quantities were larger and I accounted for a larger variety of taste buds. The Sassi del Mare Rosso Maremma Toscana with ripe aromas of red cherry, strawberry and brown spices (which is my personal favorite at just $9.99) that pairs perfectly with a Preferred Selection Parmigiano Reggiano Cheese and the Greco di Tufo - a $9.99 bottle of white wine with aromas of honey, white flowers and ripe peach that matches well with Lidl’s Preferred Selection Gorgonzola. I also picked up the insanely well priced (uh, $6.99!) 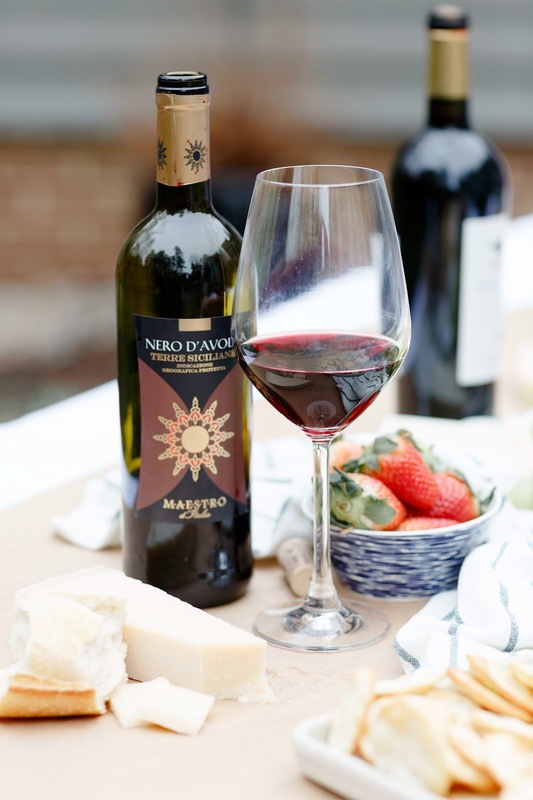 Nero d'Avola Terre Siciliane, which with Bright aromas of fresh red cherry and orange peel, holds it's own with a classic Parmigiano Reggiano. 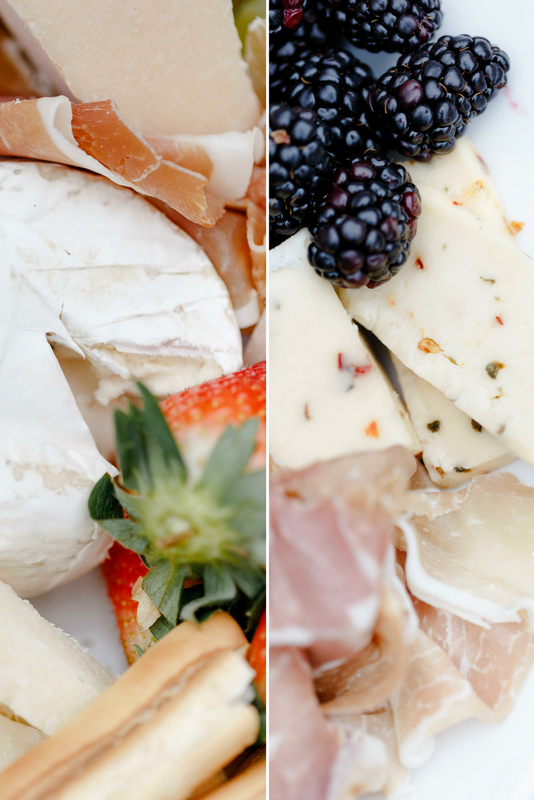 Instead of plating all of the cheese and crackers together on one large platter, I used three or four small plates and boards that we had lying around - none of them matched in any way, and I love how it all looked together in it's imperfectness. 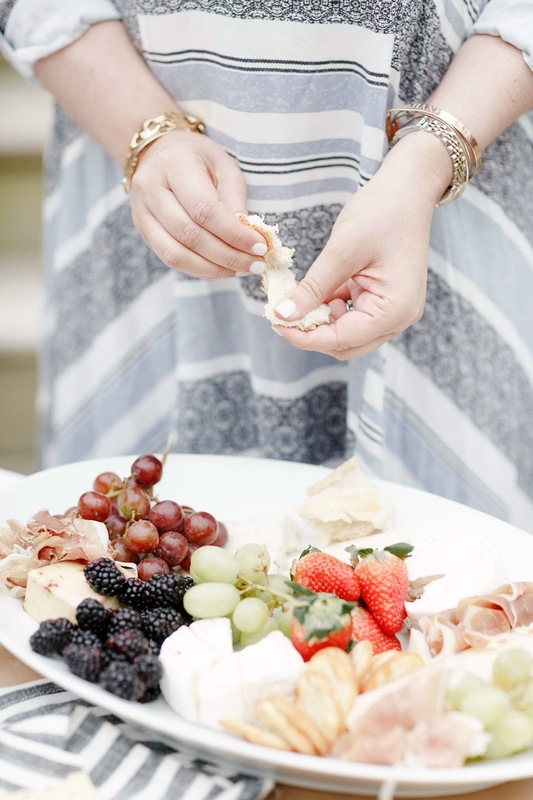 On each small platter I paired a cheese with a carb or meat and then added fruits, berries, spreads and nuts all around the table, directly on the paper runner. 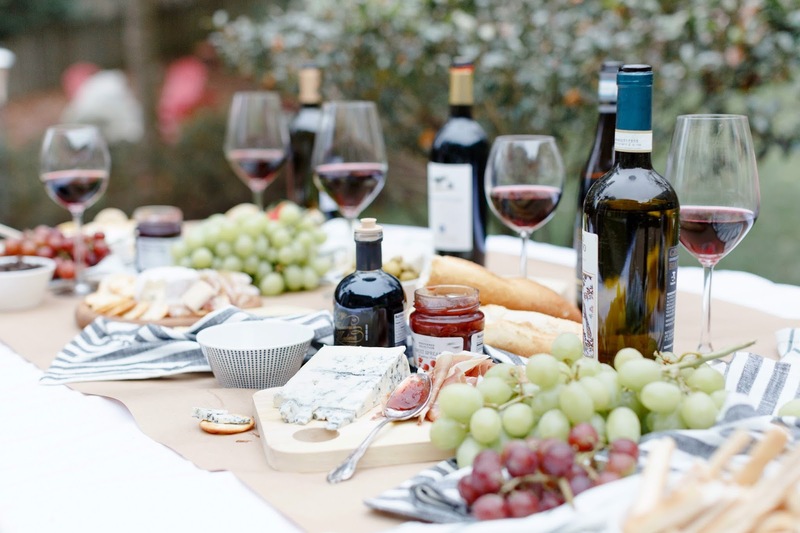 Because I wanted to be outside, enjoying my guests, instead of constantly running back into the house for this or that, I placed bottles of olive oil and balsamic right on the table for easy fill ups and served fruit spreads right out of the jar for less dishes to wash. 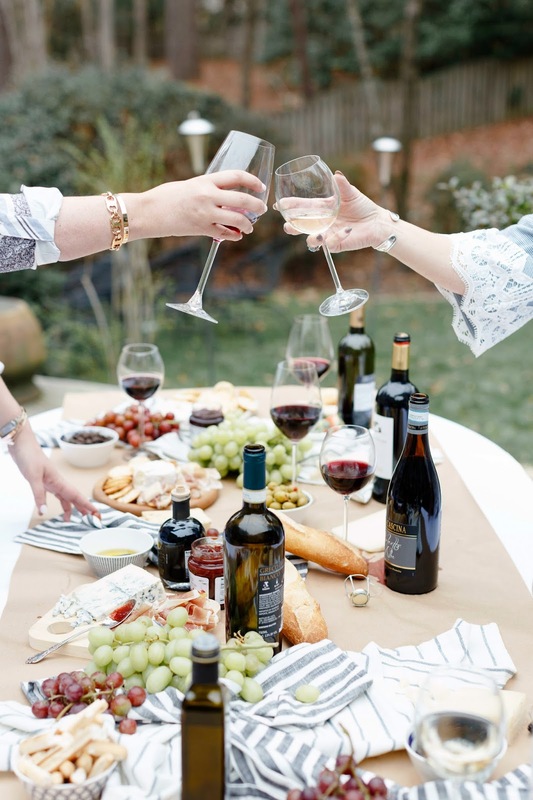 I love how rustic and approachable the table looked - my hope at all of our get togethers is that our guests are comfortable enough to dig right in, make themselves at home and leave me without leftovers to clean up! 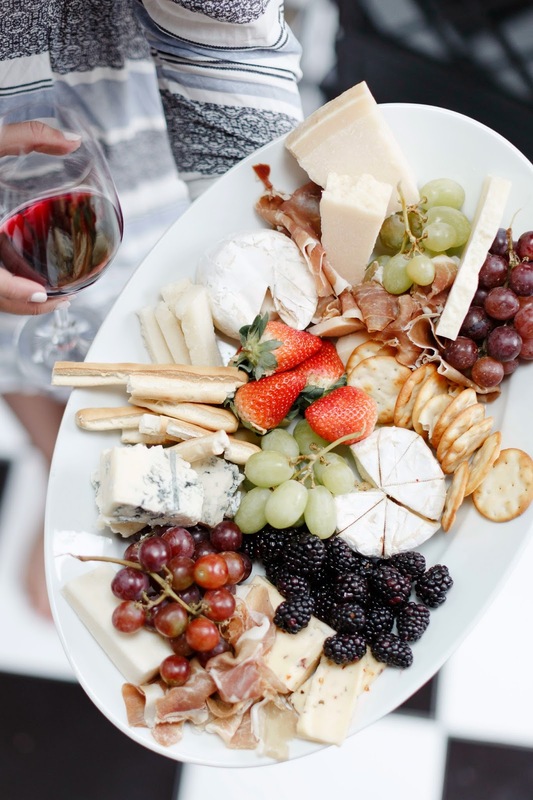 So there you have it, my best tips and tricks for planning a Wine and Cheese Pairing party for a small group or a crowd without breaking the bank! Featured items may not be available in all Lidl stores. Prices shown may not match a price in a store as prices and labels may vary by location.